The “Ring of Fire” is the ominous nickname for the area in the Pacific Ocean basin wherein the boundaries of several major tectonic plates are located. This general area, filled with fault-lines and volcanoes, is almost continuously beset by volcanic eruptions, earthquakes, and tsunamis. 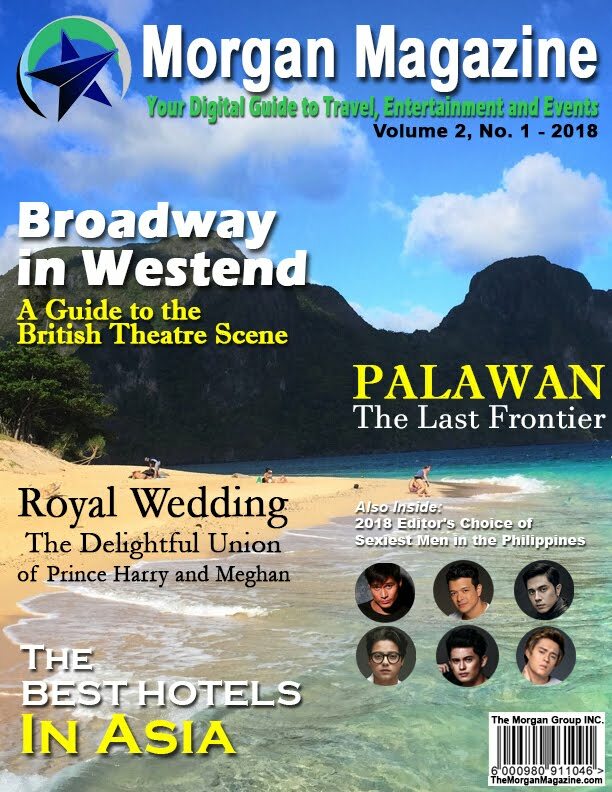 Among the nations located in the Ring of Fire and thus a big target of those calamities is the archipelago country of the Philippines, and it has had its own share of trials and tribulations from being in this disaster-prone location. In the 1990’s a killer quake and a volcano eruption visited devastation upon the country, with occasional big tremors over the years following. Now another powerful earthquake has visited the Philippines in an area that hasn’t quite felt it before. CNN Philippines reports that on the evening of Friday February 10, a 6.7 magnitude temblor hit Surigao City and its surrounding area in the Caraga Region located at northeastern Mindanao. In addition to serious structural and property damage, eight people were killed in the quake and 202 wounded according the latest count. According to spokesperson Mina Marasigan of the National Disaster Risk Reduction and Management Council, they have been able to confirm the identities of four of the fatalities and are waiting on the Department of Interior and Local Government (DILG) for information on the other four. This however conflicts with the official bulletin released Monday February 13 by Surigao Del Norte Governor Sol Matugas, who counted only six killed in his capital city. With regards to infrastructural damage, Marasigan reports that the tremors left 1,034 residential buildings damaged, with 155 of them total losses. Surigao City’s domestic airport had its runway partially ruined and will be inoperable up until March. Initial estimates of the cost of the devastation is somewhere around 108.45 million Pesos (roughly $2.17 million). Saturday February 11 saw a state of calamity being officially declared in Surigao City, with the NDRRMC remaining alert on the area due to a large frequency of aftershocks. 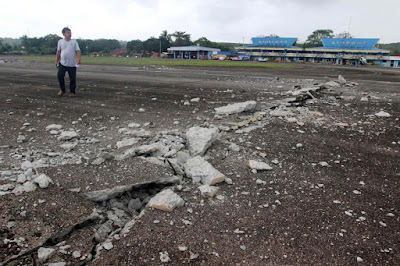 By Monday 152 individual aftershocks have been recorded following the main earthquake by the Philippine Institute of Volcanology and Seismology (PHIVOLCS). Despite the temblor knocking out power to the city, emergency services were quick to respond and report that of Surigao City’s 211 barangays, 195 have electricity once more, followed by a majority of the province of Surigao Del Norte itself. Furthermore, the city’s water supply is back to 90 percent service, after damage to two main pipes has been repaired. However, Governor Matugas announced that the city needs building materials and potable water for areas where service has not been restored, a call echoed by the NDRRMC. One of the greatest challenges for parents in raising a family is the chance of having special children with very particular needs. The developmental pace of these little ones’ growth may be different from that of other children, to the point where they may be figuratively “left behind”, slower in learning the basic skills of communication like speaking, reading and writing. While parents could mean well, at times they might be overwhelmed by the sheer amount of attention needed to see their special children prosper and get along in society. This is where the concept of special education (SPED) comes in, from both public and private institutions with custom learning programs for each child. Here in General Santos City, one of the new rising stars of private SPED institutes looking to give the best service for those wonderfully unique young ones is the J.A. Bernal Center for Exceptional Children. 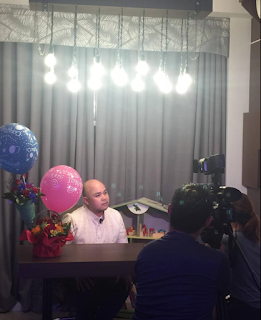 The JABCEC was established on October 24, 2014 by its Director Jaybee Bernal, one of GSC’s foremost experts in SPED. This is interesting as Mr. Bernal didn’t initially decide to make a career of helping exceptional children as he does now. 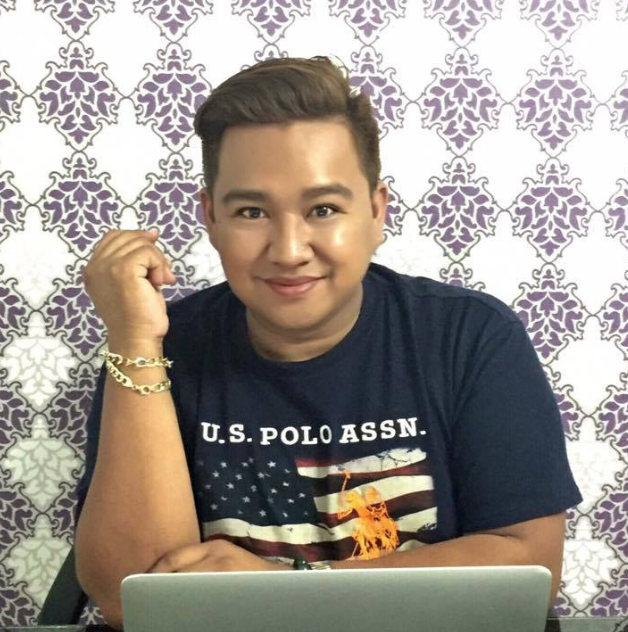 Originally planning to become a doctor, a choice of Psychology as a requisite course in Premed, followed by a visit to a SPED school in Dumaguete, opened to him a new path. Finishing with an Education Master’s Degree Majoring in SPED at UP Diliman, along with 12 years’ practical experience as a special educator in Manila, Mr. Bernal now regularly commutes between there and General Santos City for an alternating two weeks as he consults on new cases of special children being brought to his attention. 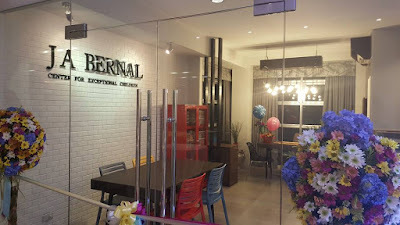 Now well past their second year and operating from a new address, the JA Bernal Center continues its push to see through its vision to become the leading SPED center not just in GenSan but in Mindanao by means of providing the best practice to give the best service to developmentally challenged children and their families. Their “students” are mostly referred to them by the families’ doctors for “intervention”. In addition to special education the center provides other services in speech and occupational therapy, language courses, and psychiatric help. 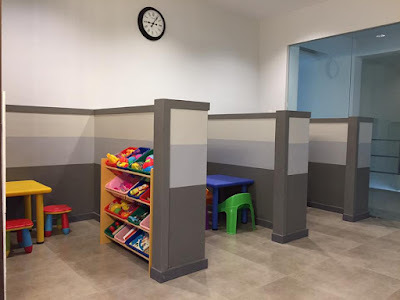 Their child development program encompasses the formation of work behavior, encouraging receptive and expressive language, cognition, and the honing of motor and fine motor skills. Not only the children but their parents receive instruction in the SPED program, the better for the young one’s families to continue their development at home. Sessions at the center last anywhere from one to two hours, with days of attendance being anywhere from once to twice a week, and scheduled from Monday to Saturday. Mr. Bernal is ably assisted in the task of intervention and education by a “faculty” of five special education experts, all bold, engaging, resilient, nurturing, accepting, and loving of their duties, responsibilities and their many various charges throughout the week. Intervention usually ends when Mr. Bernal and his fellow instructors deem a child ready to take an assessment test to gauge their improvement in their various fields of development. Promising results are then forwarded to the children’s physician, who may then discuss the child’s future in the wider world with his family. Even with the JA Bernal Center already having a full plate of special children that rely on their aid and guidance, Mr. Bernal sees even more room for growth in the Center. 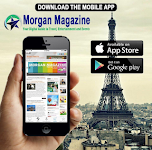 He plans in the coming years to expand their purview from school-aged special children to older teens and grown adults. In their case, it’s hoped that the center can also provide them with enough training to qualify them for basic employment. They can be taught to work handicrafts for instance, and certain foreign companies for example have also found gainful work for developmentally challenged grown-ups at assembly line jobs where they might excel at routine and repetitive actions. The future looks bright and full of possibilities for Mr. Bernal and his labor of love, something that many special people and their folks would most certainly appreciate. For more inquiries on what the JA Bernal Center for Exceptional Children can do for any special child you know, come visit them at their institute at the third floor of the Santanna Medical Plaza next to St. Elizabeth Hospital, along Santiago Boulevard, General Santos City. Photos grabbed from JB Bernal's Facebook page. 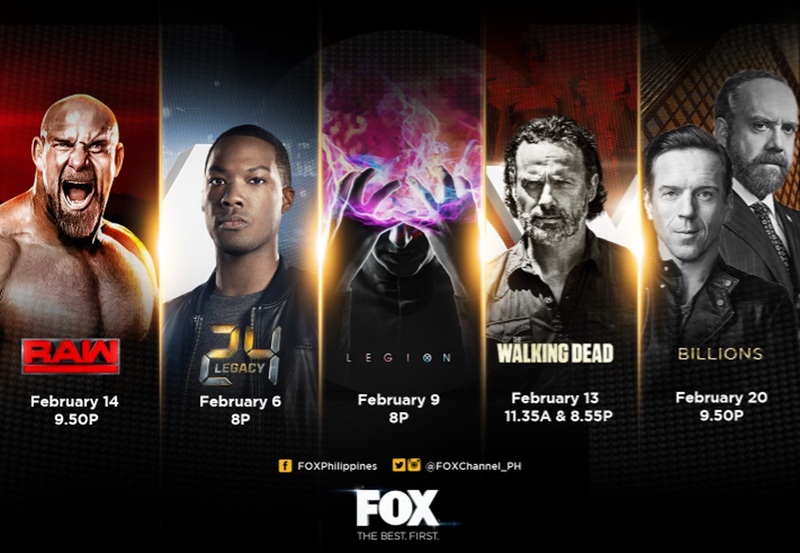 PHILIPPINES – February proves to be an extremely exciting month for FOX Philippines as the channel announces the premiere of several hit US television series. 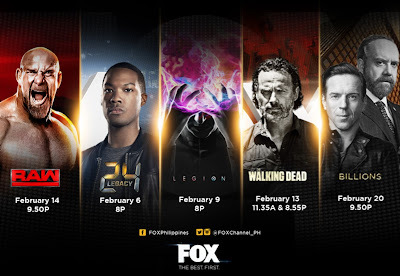 Several FOX shows are returning to the channel in February, including The Walking Dead, Billions, and WWE’s wrestling programs, while new shows Legion and 24: Legacy are set to bring more prestige to an already strong lineup. To promote this huge boost in programming, FOX is teaming up with Philippine escape room game Breakout to host an experience called FOXtreme Breakout, which will bring elements of these shows closer to viewers in a unique escape room challenge that will run from February 9 to 12 at Uptown Mall in Bonifacio Global City. THE FOXtreme Breakout will run in Uptown BGC from February 9 to 12, 2017.